SharePoint provides a central document repository in place of sharing attachments through email. Since SharePoint is web-based, team collaborators can view or edit documents from anywhere at any time. 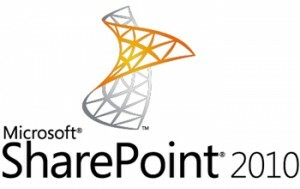 SharePoint provides a central location for meeting agendas, objectives, tasks and documents accessible to team members. Having a central document repository reduces the numerous email and attachment exchanges between meeting attendees. Space usage charges will apply. See Pricing tab for the most current rates. There is a space usage charge of $2.25 per 50 MB per month, with a 50 MB minimum. Consulting is also available at the rate of $62 per hour. Go to doitservices.missouri.edu to request new and modify or cancel existing SharePoint service. Login to the self-service portal with your University user id and password, select Service Catalog, and search for SharePoint. Contact your Departmental IT Pro or call 573.882.5000 for more information.